In the opening moments of “Taiga,” a mesmerizing eight-hour journey into the nomadic tribal culture of northern Mongolia, the camera makes a slow 360-degree panning shot across the magnificent desolation of the Darkhad Valley, a remote steppe ringed by snowcapped mountains. The only sounds to be heard are wind, running water, bird calls and the moans of grazing herds of yak, sheep and goats. 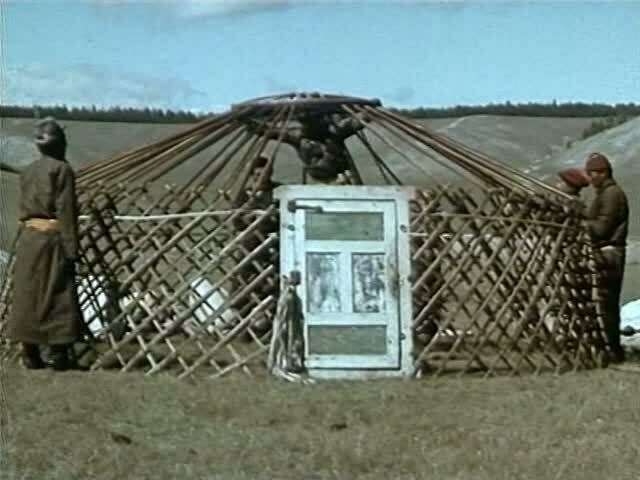 After majestically surveying the landscape, the film zeroes in on the region’s human inhabitants, a tribe of nomadic herders who live in large tents known as yurts. Slowly and methodically, the film insinuates itself into their culture. An early scene shows a midnight seance in which a wizened old woman, a shaman, dons a sacred robe weighted with pieces of iron to commune with protective spirits who tell her when the tribe should leave its summer encampment. There follows a procession of scenes, each introduced by a subtitle, that add up to an encyclopedic portrait of tribal life. “The Wedding” closely observes a marriage ceremony. “The White Foods” follows the painstaking preparation of products, from cheeses to yogurt to a tea made from yak’s milk. The emphasis gradually shifts from domestic rituals to more rugged outdoor occupations. The film visits a blacksmith and a boot maker and follows two hunters on a trek to the forest. And one of the liveliest scenes shows the tribe’s version of the Olympic Games. “Taiga,” which opened yesterday at Film Forum 1, is the work of Ulrike Ottinger, a noted German avant-garde director whose recent films have looked deeply into Asian cultures. Miss Ottinger’s 1985 film, “China: The Arts, the People,” focused on Chinese scroll painting and its relation to everyday life. 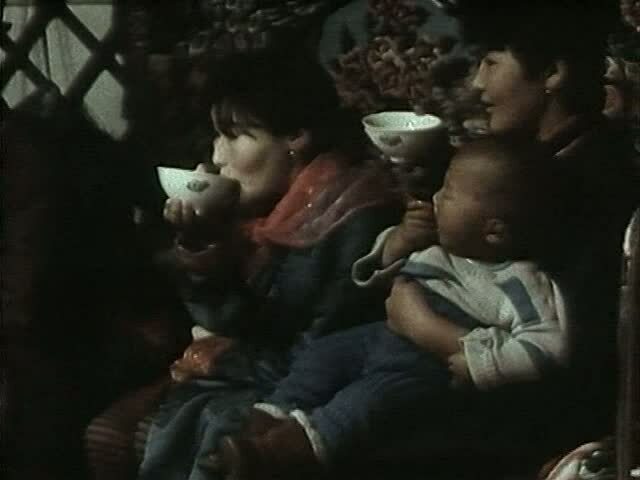 Her 1989 fictional film, “Johanna d’Arc of Mongolia,” imagined a group of Western travelers kidnapped by a Mongol princess. The new film, whose title is the Russian name for the two million square miles of forest covering Siberia and far eastern Russia, is an epic documentary that slowly and relentlessly entices the viewer into becoming an imaginary visitor to northern Mongolia. Although it has its tedious moments, it has the cumulative effect of an extended vacation halfway around the earth in which body and spirit must adjust to a life that has a slower rhythm and a coarser texture. 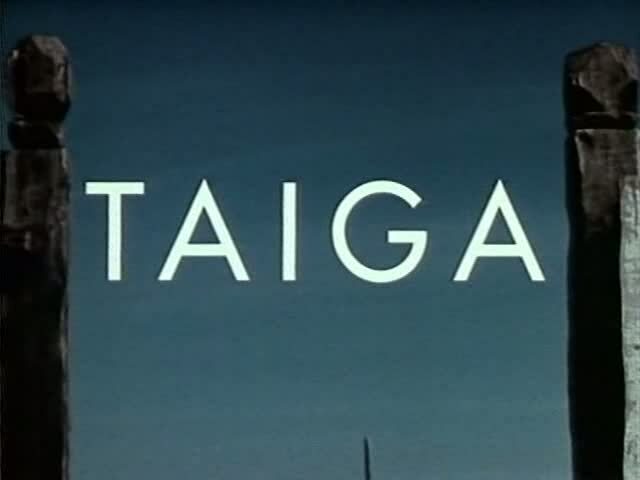 For the next two weeks, “Taiga” is being shown in three 2 1/2-to-3-hour parts. Theatergoers pay to see any two parts and see the third part free. Critics were shown Part 1, which runs about three hours. The film follows the journey of two peoples, the Darkhad nomads and the Sojon Urinjanghai, and their animals to rustic towns that used to be Mongolian-Russian trade stations. The journey ends at an amusement park in the Mongolian capital, Ulan Bator, where the ancient tribal ways rub somewhat uncomfortably against modern civilization. At least in the film’s opening part, tribal life seems fairly idyllic in its primitive, hard-scrabble way. The nomads appear to be peaceful, diligent workers who share a close-knit sense of community. Daily tasks are carried out with great care, seriousness and a pride in workmanship. And as several scenes illustrate, they reward their labors with exuberant celebrations at which a milk liquor is drunk and snuff is circulated. 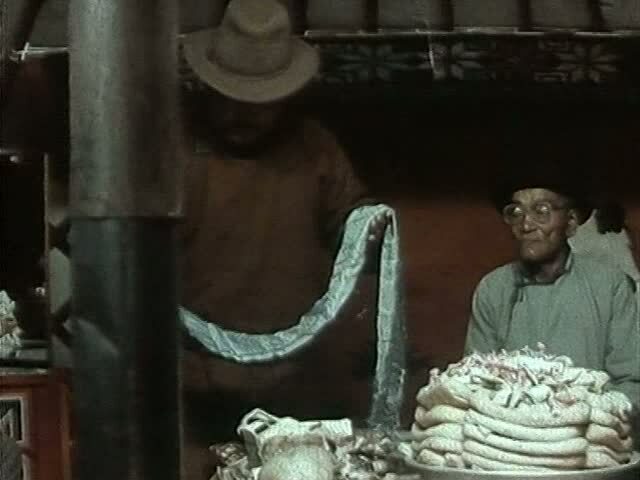 Two of the film’s jolliest scenes, “Festival of the Mutton Breastbone” and “Wrestlers and Praise Singers” show a festival at which a lamb is slaughtered and ritually dismembered. After it has been cooked between heated stones in an enormous metal container, the portions are passed around and eaten by hand. The festivities culminate in a friendly wrestling match among the younger tribesmen, and the winner gets the lamb’s highly prized breastbone. The most remarkable quality of “Taiga” is its aura of timelessness. Like the way of life it portrays, the film exhibits no sense of urgency. Although it follows a rough chronology, it does not try to tell a conventional story or express a strong historical or sociological point of view. Nor does it seem to want to idealize its subjects, who are aware of the film crew and eager to show off their skills. In the most effective scenes, conventional cinematic momentum simply halts and the camera dwells on the extended moment. 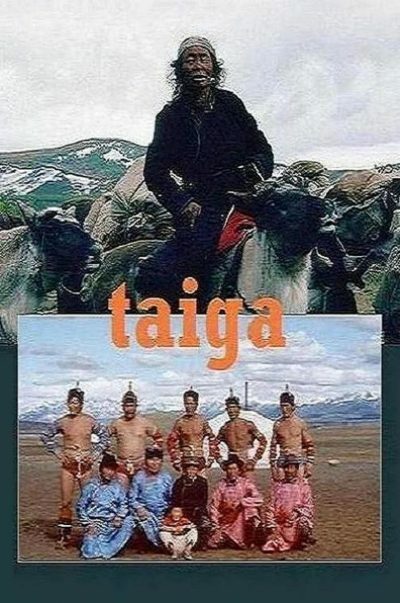 Without making a fetish of showing everything in real time, “Taiga” has enough such moments to give the viewer much more than a tourist’s-eye view of an ancient tribal culture. At such times, It conveys a sense of really being there.